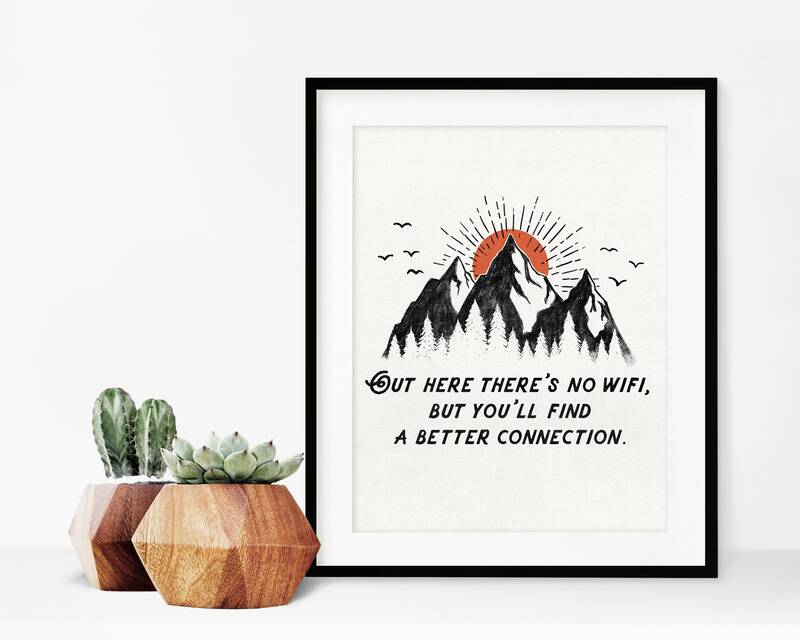 This print, made from my original illustration is for those who appreciate connection with nature. 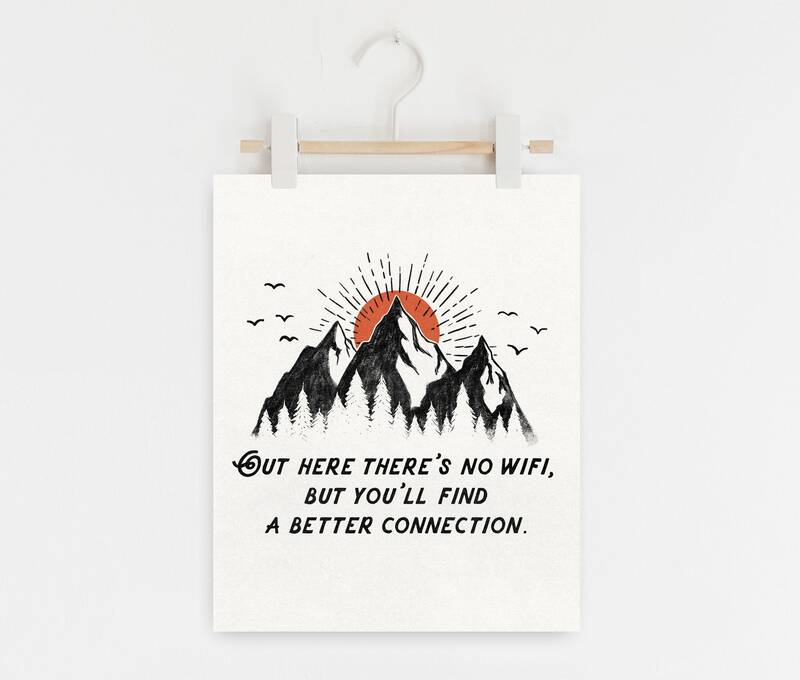 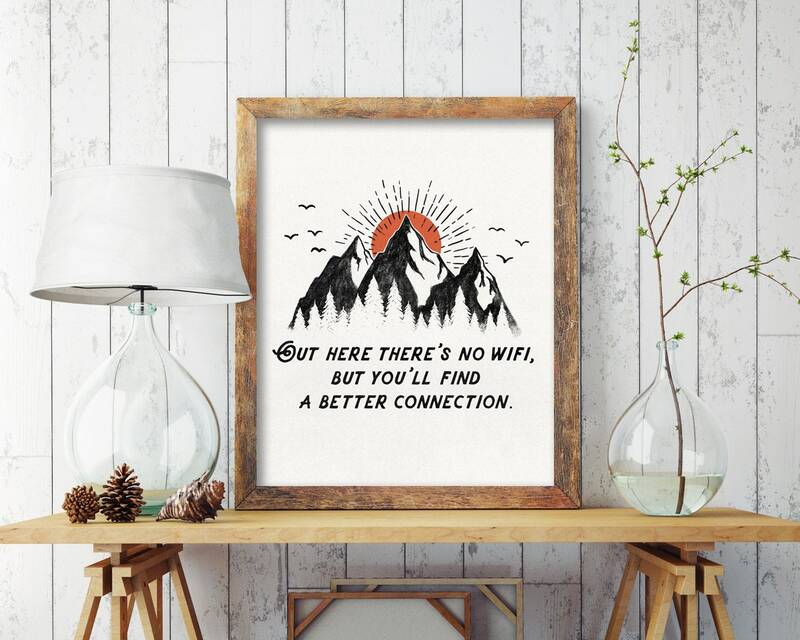 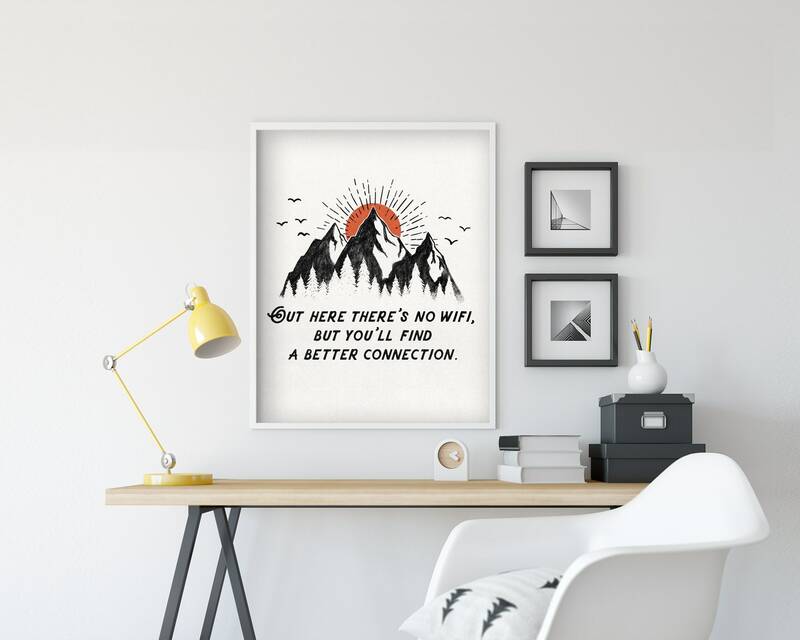 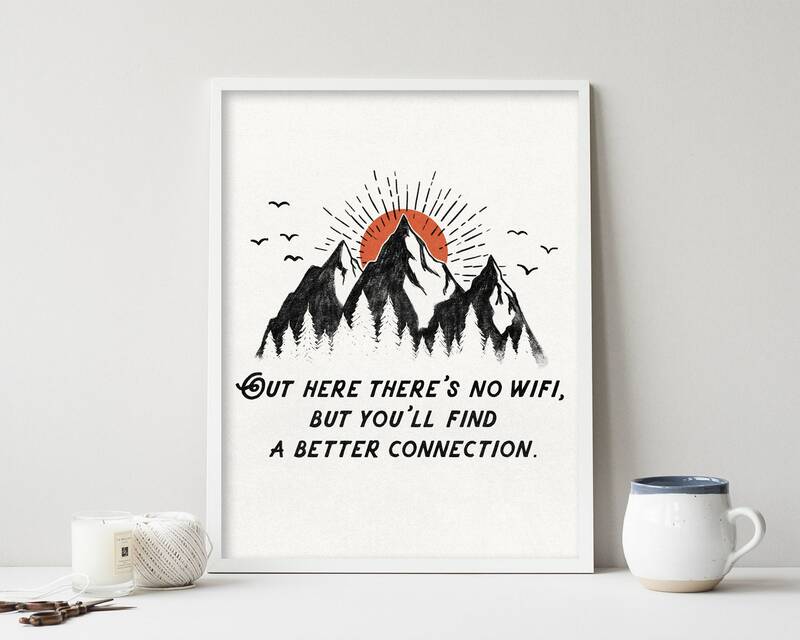 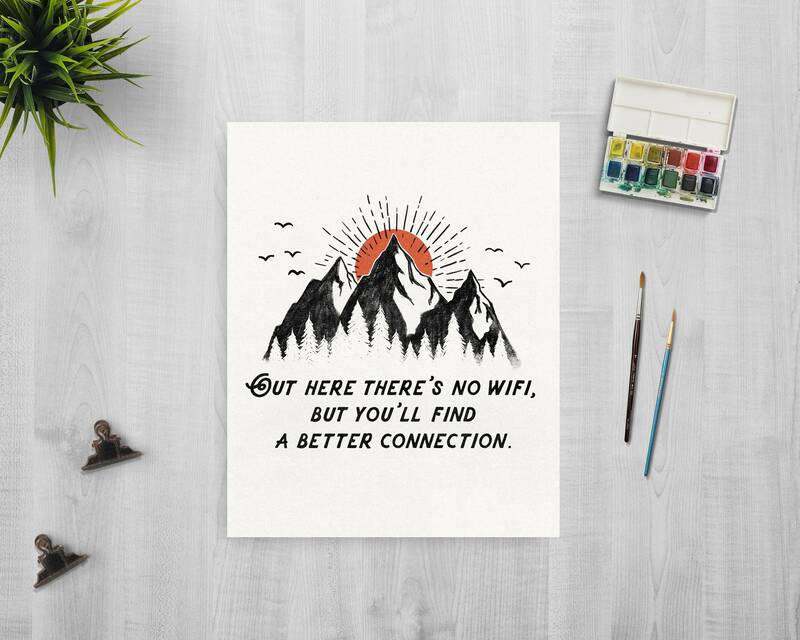 This illustration features rugged mountains, and a burnt orange setting sun, with a lovely quote that reads, "Out here there's no WIFI, but you'll find a better connection." 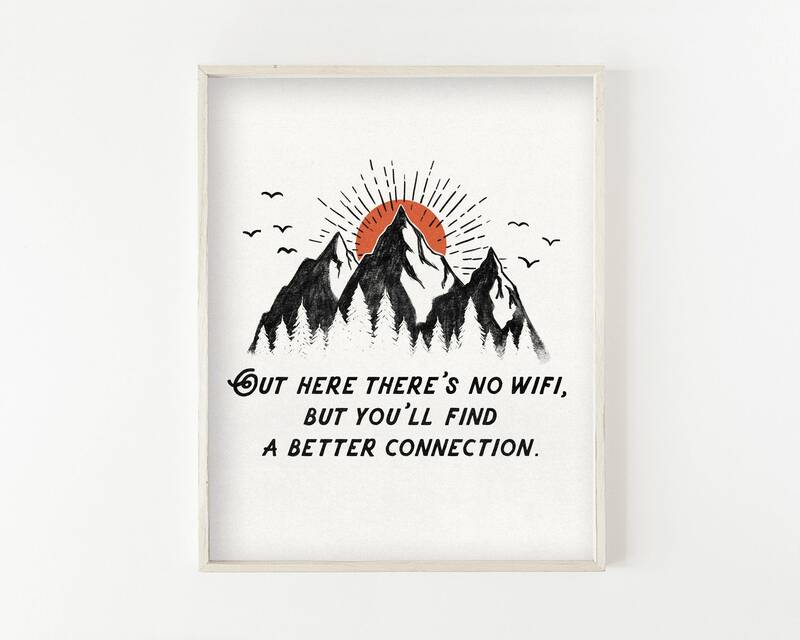 A perfect gift for those who love the outdoors!